Thomas Henry Casanova III (born August 29, 1950) is a former American football player and politician. He played professionally in the National Football League (NFL) for the Cincinnati Bengals for six seasons and was invited to three Pro Bowls, as well as an All-Pro in 1976. He played college football at Louisiana State University, where he was a three-time first-team All-American. He is a Republican former member of the Louisiana State Senate, having served from 1996 to 2000. He is currently an ophthalmologist in Crowley, Louisiana. Casanova attended the Roman Catholic Notre Dame High School in Crowley. As a senior at Notre Dame he was chosen to play in the Louisiana High School Coaches Association all-star game. After high school, Casanova attended Louisiana State University in Baton Rouge. As a freshman in 1968, he led the Baby Bengals in rushing with 209 yards in 54 attempts. He also returned punts and kickoffs, and was a defensive standout. In 1969, Casanova's first year on the varsity, he was shifted to cornerback. LSU fielded four defensive All-Americans in linebackers George Bevan and Mike Anderson, defensive tackle Ronnie Estay, and Casanova. Along with quarterback Mike Hillman, this team has been labeled by some sportswriters as the greatest ever assembled by LSU. The Tigers lost only one game that year to arch-rival Ole Miss. Yet the Tigers defeated Auburn University, 21–20 in an afternoon game in Tiger Stadium. Casanova played running back, kick returner, and defensive back for the Tigers. During each of his three years at LSU, he was selected as a member of the College Football All-America Team Casanova is the only three-time All-American in LSU history. 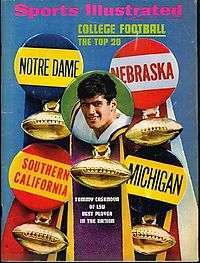 In the September 13, 1971 issue of Sports Illustrated, the magazine featured Casanova on the front cover, with the headline: "Tommy Casanova of LSU, Best Player in the Nation." In 2000, the Walter Camp Football Foundation selected Casanova for their All-Century team, honoring the best college football players of the 20th century. His jersey number 37 was retired by LSU football on October 10, 2009. Casanova was drafted in the second of round of the 1972 NFL draft with the 29th overall pick by the Cincinnati Bengals. He played safety for the Bengals from 1972 to 1977 and collected 17 interceptions. He was selected to the Pro Bowl in 1974, 1976, and 1977 and was an All-Pro selection in 1976. While playing for the Bengals, Casanova began to pursue his M.D. at the University of Cincinnati College of Medicine. In 1977, he quit playing football early to pursue his medical degree full-time. He graduated from the UC College of Medicine in 1980, and then began a three-year residency in ophthalmology in New Orleans. After completing his residency in 1983, Casanova went on to complete a specialization in oculoplastic surgery at the University of Utah in Salt Lake City. In the 1995 nonpartisan blanket primary in the historically Democratic District 26, formerly District 24, the Republican Casanova upset veteran Democrat state Senator Armand Brinkhaus. Casanova received 21,543 votes (58 percent) to Brinkhaus's 15,753 (42 percent). In addition to Acadia and St. Landry, the district included parts of five other parishes: Avoyelles, Calcasieu, Cameron, Jefferson Davis, and Lafayette. During his term Casanova served alongside another physician, Donald E. Hines, who subsequently was the state Senate President from 2004 to 2008. After a single term, Casanova declined to seek reelection and returned to his ophthalmology practice in Crowley. He was succeeded by the Democrat Fred Hoyt. ↑ Hilburn, Chet (2012). The Mystique of Tiger Stadium: 25 Greatest Games: The Ascension of LSU Football. Bloomington, Indiana: WestBow Press. pp. 47–48. ISBN 978-1-4497-5269-9. ↑ Fidencio Enriquez (January 16, 2008). "Greatest Lsu Tigers Of All Time". Retrieved October 13, 2012. ↑ "All-Century College Football Team". Walter Camp Football Foundation. Archived from the original on 9 September 2006. Retrieved 20 November 2006. ↑ Vincent, Herb (October 29, 2009). "LSU Retires Three Legends' Jerseys". LSUsports.net. Retrieved January 11, 2016. ↑ "Tommy Casanova". NFL.com. Retrieved 2013-11-20. ↑ McEntegart, Pete (August 14, 2000). "Tommy Casanova, Two-way Star". Sports Illustrated: 29. Retrieved March 3, 2016. ↑ "Living Legends: Armand Brinkhaus". acadiamuseum.com. Retrieved May 23, 2014. ↑ "Official Election Results Results for Election Date: 10/21/1995". staticresults.sos.la.gov. Retrieved October 16, 2013. ↑ "Membership in the Louisiana Senate, 1880-Present" (PDF). senate.la.gov. Retrieved October 16, 2013.